Country Star Continues Release Week With Hurricane Harvey Benefit And Performance On Jimmy Kimmel Live! 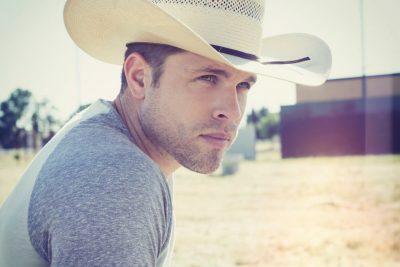 Certified hitmaker Dustin Lynch has cemented his spot as Country music’s newest superstar, celebrating his latest chart-topper “Small Town Boy” and the release of his third album – the sonically ambitious, boundary-pushing CURRENT MOOD – which released Friday (9/8) on Broken Bow Records. See Dustin Lynch on the Ride Or Die Tour on sale now! Already GOLD-certified, “Small Town Boy” is Lynch’s FIFTH consecutive #1 hit, topping the Country Aircheck/Mediabase Country Airplay chart and continuing its reign on the Billboard Country Airplay chart for a second week. Penned by Rhett Akins, Ben Hayslip, and Kyle Fishman, the grooving track follows #1, GOLD-certified “Seein’ Red,” the white-hot first single off CURRENT MOOD. In case you missed it, watch Lynch discuss the making of CURRENT MOOD and more on AskGaryVee with Gary Vaynerchuk here. Lynch will punctuate his album release week with a Hurricane Harvey benefit show tomorrow (9/12) at Cowboys Red River in Dallas, donating all ticket proceeds to the American Red Cross. Ending the week on a high note, Thursday (9/14) he’ll return to ABC’s Jimmy Kimmel Live! to bring “Small Town Boy” full circle with an outdoor stage performance, having debuted the summer smash on the late night program earlier this year. The all-star entertainer will hit the road this fall with his headlining THE RIDE OR DIE TOUR kicking off November 3 in Fayetteville, NC. Michael Ray, LANCO, and Ryan Hurd will serve as support on select dates. For more information, visit DustinLynchMusic.com, and reach out to him on Facebook, Twitter and Instagram. Since releasing his PLATINUM debut single, “Cowboys and Angels,” Lynch has been on a steady path toward superstardom with five consecutive #1s, two Top 5 albums, PLATINUM-level certifications and tours with the biggest names in Country music (Luke Bryan, Florida Georgia Line, and Brad Paisley). Racking up over 113 million views on YouTube/VEVO, scoring 245 million-plus streams on Spotify, soaring to #1 on the MTV Music Meter, and selling 3 million digital tracks, he brings a fresh combination of traditional influence and edgy intensity to the genre. Following his sophomore album, WHERE IT’S AT (Broken Bow Records) – which debuted at #1 on the iTunes Country Albums Chart and has tallied over 1 million tracks sold to date – Lynch’s hotly-anticipated follow up, CURRENT MOOD, arrived September 8. Produced by Brent Anderson, Mickey Jack Cones, Ross Copperman, Zach Crowell, and Will Weatherly, the boldly adventurous project features the GOLD-certified, #1 singles “Seein’ Red” and “Small Town Boy,” and aims to push the envelope of Country music even further. Realizing his longtime dream of creating a fashion line, Lynch has also branched out to launch Stay Country. The line of accessibly-priced men’s and women’s shirts, hats, and accessories, all emblazoned with the distinctive Stay Country logo, can be found online at www.staycountryclothing.com. Country Music News Blog participates in advertising programs that help fund the operation of this site. For more information please visit our privacy statement. This entry was posted in Dustin Lynch, Press Releases by Shauna "WhiskeyChick" Castorena. Bookmark the permalink.